So it’s that time of year again: the Man Booker Prize List has been announced. This is probably the most distinguished literary award of the world. 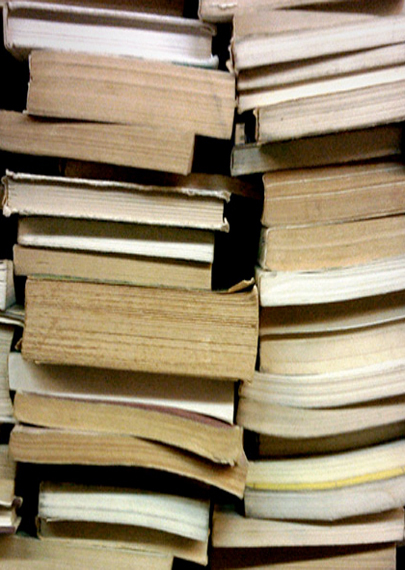 The Oscars, Mercury Prize or [insert another award of your choosing here] of books. In short it is the Holy Grail for authors that can define a writer’s life. I find this year’s shortlist troubling and uninspiring (not for the first time). I admit that this is largely due to the fact that David Mitchell has been omitted (I had a little flutter on what seemed like very good odds). I thought that this would finally be his year considering the blasphemy that was his epic global spanning 19th century to post-apocalyptic work of genius, Cloud Atlas losing in 2004 to some since long forgotten book. Wasn’t to be, though. Nope. Something always grates me with these judges and shortlists. Like the fact that Peter Carey – whose main accolade these days seems to be the fact that he could potentially win the booker for an unprecedented third time – has been likened to Charles Dickens. The Charles Dickens of our time apparently. Why the hell would I want to live at the same time as Dickens anyways? I might as well watch a soap opera on TV: that’s how all his books feel like to me. East Enders does a pretty good job of regurgitating the false principles of morality, ethics, love, betrayal et cetera. B.O.R.I.N.G. There is hope, though. I admit that I have yet to read it but I have, um, great expectations for Tom McCarthy’s C. In some quarters he is being billed as the future of the novel. He is a modernist and co-founder/general secretary of the International Necronautical Society (‘That there is no beauty without death, its immanence. We shall sing death’s beauty – that is, beauty.’). C is about communication, human relationships, WWI and suffering; it is also an homage to the pinnacle of modernism in literature, the year 1922 when The Wasteland and Ulysses were published. It is full of intertextuality, metatextuality and most importantly, it is original. Another glimpse of hope comes in the form of Damon Galgut’s, In a Strange Room, which may or may not be a novel. It is about the writers attempt to remember three different journeys he undertook with three different individuals. His premise to try and convey how memory works. For Galgut memory is fiction: memory is a set of moments, disparate perceptions without a narrative thread. So there are two good books on the list, then. I just don’t get why people are harping on about it being a good thing that this is the most humorous list ever. It’s as if there is some sort of subconscious longing for happiness infecting art. Am I alone in really getting a kick out of being depressed as hell because something is that good that it moves me? Maybe even makes me cry? I don’t care about this comic relief business and joy that everybody wants to spread. Give me pain and misery any day. If I want to laugh I watch Bill Hicks. Over and over and over. End of. The truth is the world is in ruins, injustice reigns supreme and you want me to laugh? If you can’t give me something that will make me think (god forbid) then at least let it make me cry. I’m not gonna read Peter Carey’s Zzzz, Howard Jacobsen Ha Ha Ha or Emma Donoghues’ X X X even though they probably aren’t even that funny and probably weren’t intended to be funny at all. I don’t want escapism. I want the truth; I want beauty. Or at least something that questions what that might be. Here’s to hoping some justice prevails somewhere. That some hope lingers somewhere. That someone, somewhere agrees with at least some of this (fat chance, I know). Here’s to hoping C wins. First posted on The Ran$om Note which covers everything from cutting edge music reviews to dog walking blogs, art, culture and new world musings. This entry was posted in Ramblings, Ran$om Note and tagged Book reviews, Books, Man Booker Prize, Stream of consciousness, The Ran$om Note. Bookmark the permalink.